KEMET's aluminum electrolytic Press-Fit capacitors eliminate the soldering process while still providing reliable electrical connections and the same vibration performance as soldered snap-in terminations. They are the solution for multiple production and quality issues. The evolution from snap-in terminals, the Press-Fit capacitor series combine the strong electrical and long life performance of the KEMET snap-in capacitor with the solution providing Press-Fit connection. 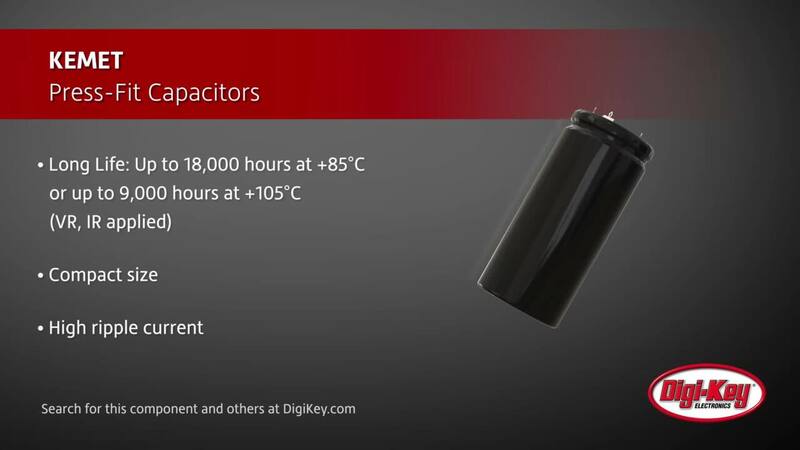 Aluminum Electrolytic Capacitors This presentation will cover some basics of aluminum, construction and manufacturing of aluminum electrolytic capacitors, followed by main application and electrical parameters.